I always wondered why the solar array never produced more than 30A, especially after I added 3 more panels to it. Well, I got my answer yesterday when the array took an unexpected dive. I had forgotten that the amperage sensors I got back in 2015 are only rated for 30 Amps, way overkill at the time :). So it’s entirely possible the array was producing more and I simply wasn’t able to “see” it. Also, the extra panels pushed the sensor over the edge and fried it. I put in the order for new sensors rated for 100A, it will be interesting to see what the graphs look like. Their design also makes it so if they fail, the production won’t be impacted because they aren’t part of the circuit. It’s surprisingly difficult to find such sensors rated for high amperage. 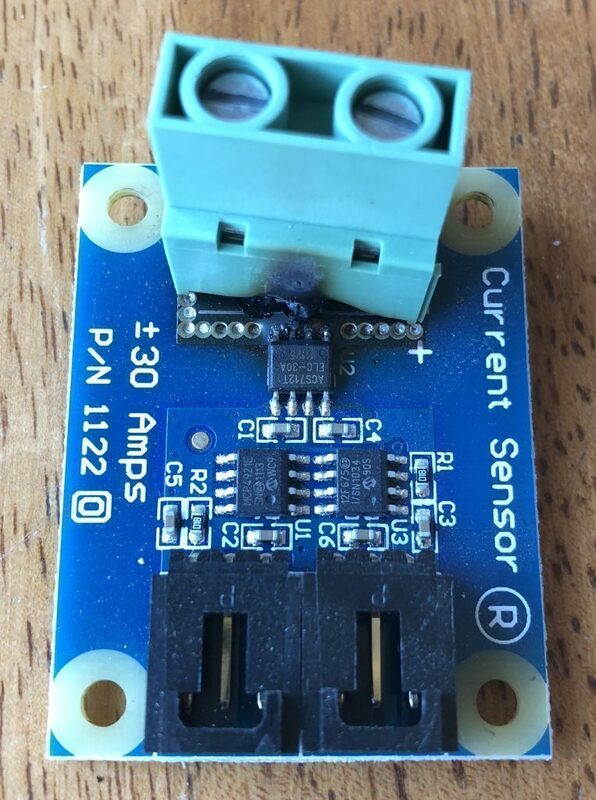 Phidgets are expensive but they pretty much have the only industrial IOT sensors. In my experience they are robust and easy to deploy thanks to great documentation & code samples.